October 7, 2010 – As usual for me, a night of drinking ended in bouts of transvestitism. 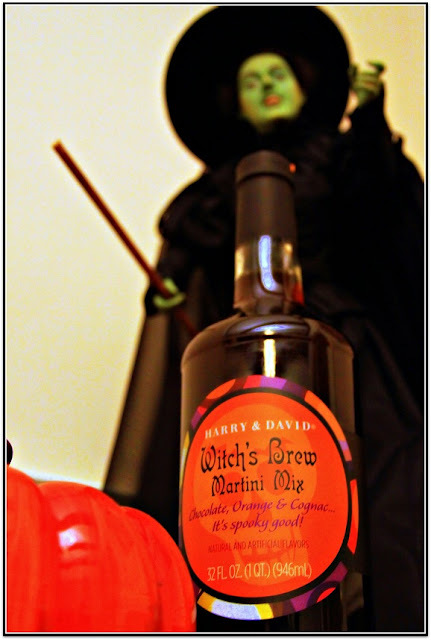 A few posts ago, I mentioned picking up a bottle of Witch's Brew martini mix from Harry and David during a day trip to Maine and the White Mountains of New Hampshire. 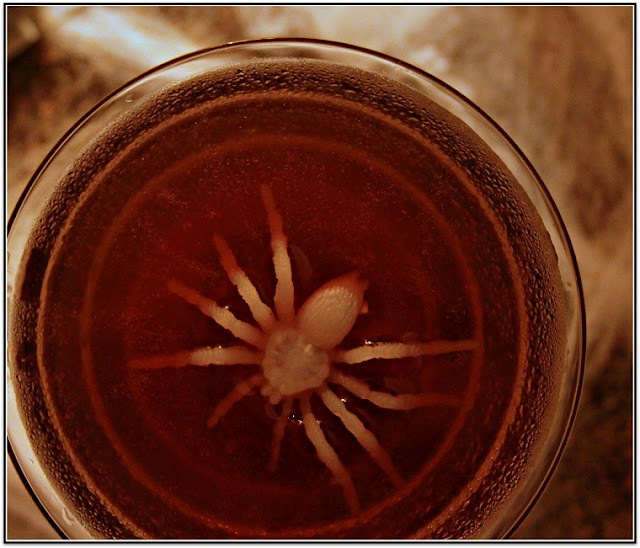 Last night, we pulled out our cauldron and got our hag on. 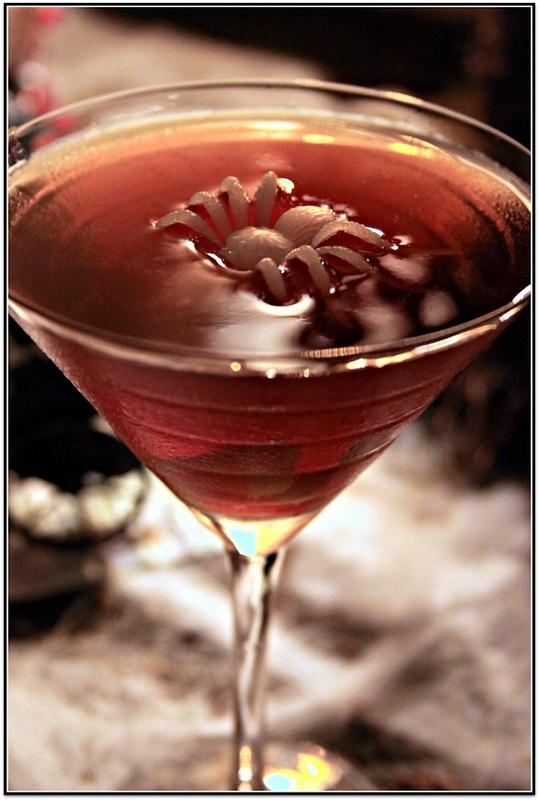 Witch’s Brew is a brownish liquid made up of chocolate, orange, and cognac flavors. Ordinarily, none of those flavors are extremely compelling to me in drink form, but slapping a Halloween label on any comestible will make me pour it into my person. According to the directions on the label, you could either mix it with vodka or turn it into an ice cream float. While that’s a level of beverage flexibility that’s pretty impressive, ice cream is the opposite of a Halloween treat to me and seemed a bit more toil and trouble than just splashing vodka into it. Alcohol and laziness are an unbeatable tag team. I tasted a capful straight out of the bottle and can’t say it was either pleasant or horrible. The flavor seemed vague, like the chocolate was very far away, in another cabinet maybe, and I couldn’t taste the orange. Cognac I wouldn’t recognize even if it introduced itself to me with semaphore flags and sparklers. Overall, the taste reminded me of vanilla extract, although that doesn’t make sense since this was a chocolate drink. My taste buds are historically untrustworthy bastards, though. Adding vodka didn’t change the flavor, of course, although having it chilled by shaking it with ice made it more palatable. My wife actually nailed its description. It tasted like some concoction you'd mix yourself with whatever spare liquor is laying around on some random night of misspent creativity. Of course, it is alcohol, so it got better with every taste. And then every drink. And by the end of the bottle it was my favorite drink ever. And then this morning I hated it again. However, before our decision-making abilities became too impaired, we had an important choice to make. We needed a Halloween movie to watch during our private carousing. Now, I have a whole roll call of movies that I like to watch when I'm drinking: Harvey, either Bill and Ted movie, American History X, to name a few. But I don’t really have an established Halloween drinking movie. And then I remembered The Rocky Horror Picture Show. 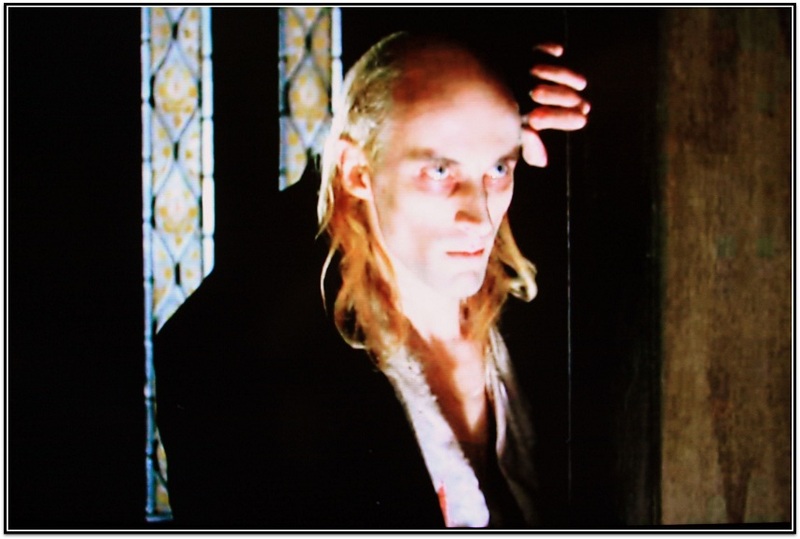 You know this, but Rocky Horror tells the story of a transvestite mad doctor alien named Frank-N-Furter who is sent to this planet to loosen us Earthlings up a bit, but who instead goes decadent with his own personal obsessions. And everybody sings a lot. And Meatloaf lives up to his name. 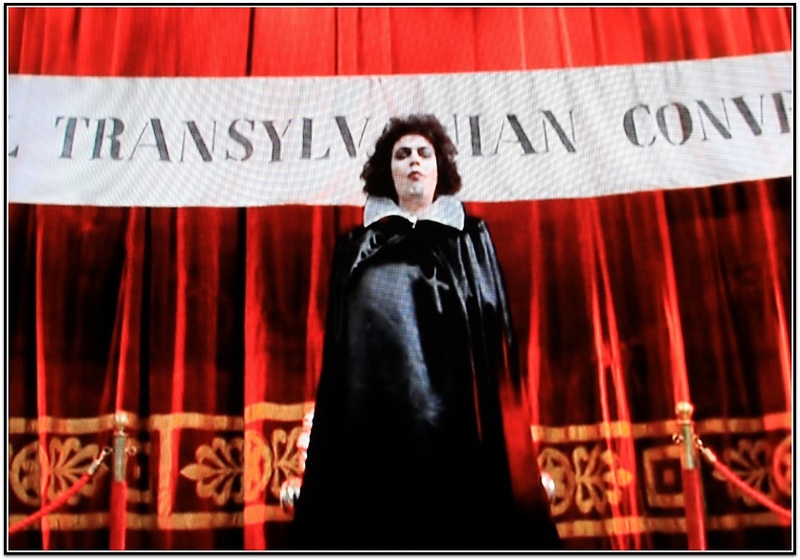 If ever there was an enigma of cinema for me, it's The Rocky Horror Picture Show. I mean, I get the movie as far as one can, I just don’t understand how it mainstreamed as firmly as it did for as long as it has. Sure, Time Warp is a catchy song and “Anticip… … …ation” is the best one-word quote in all moviedom and, heck, now that I have a wife and kid I can admit to being strangely compelled by Tim Curry’s character (the aforementioned Dr. Frank-N-Furter), but the whole movie somehow averages out to being somehow rather dull and decidedly fringe at the same time. 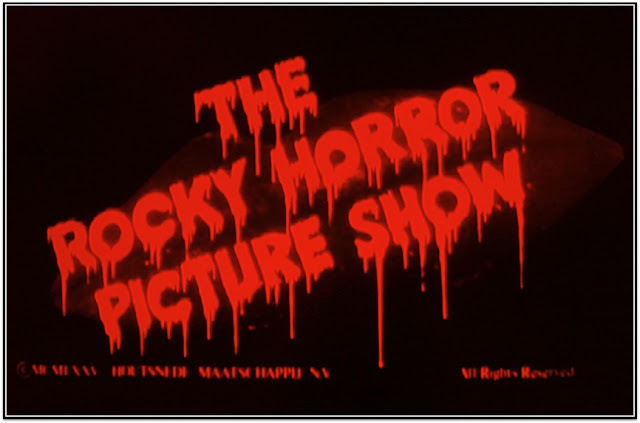 The movie starts out interesting enough, but then somewhere around the Rocky Horror re-animation scene, just goes downhill until it finally corpse-thuds during the floor show finale. Even Tim Curry’s character stops being interesting at some point…although his voice never does. The whole thing should have stayed a cult film, honestly. Instead, it’s one of the most well-known films in cinema. And I don’t know why. Of course, it doesn’t matter that I don’t get the reason. It’s here entrenched to the point that every Halloween, some television show will take its turn referencing it. This year, Glee is doing a whole episode based around it. For the rest of us, it’s on Netflix Instant Watch, available to any who want to drink Halloween cordials and laugh at Susan Sarandon and Barry Bostwick in their underwear. In the end, even Witch’s Brew couldn’t get me closer to figuring out Rocky Horror’s longevity in mainstream culture. Maybe it’s my own fault for not achieving the level of drunkenness where every frame of film is a revelation. Or maybe I need to watch it in a theater full of corset-clad uninhibiteds singing at the top of their lungs. Now that I think about it, maybe that’s the answer to every one of life’s quandaries.